The theory of Rage 2 being a reality was basically confirmed yesterday as Walmart Canada accidentally leaked pre-order copies of the game to all. While there was no doubt that Rage 2 would eventually be revealed, some numbers pointed to the date 5/14, today. Bethesda, in all of its tease-y glory, has dropped the announcement trailer for Rage 2. The live-action announcement trailer for Rage 2 is a stark contrast for the previous title in the series. This time around, things seem to be a lot more colorful, and while things are still very much violent in nature, things seem to be a lot more goofy and lighthearted. It is unknown if this trailer’s stylization is reflective of the tone for the Rage 2 or if it was done just for the live-action trailer. While the Walmart leaks might have ruined the announcement today, a lot more information regarding the game will be available tomorrow on the same YouTube channel. According to a press release provided to us, at 7AM PST/ 10AM EST, another trailer will drop for the game. This trailer, however, will be containing actual gameplay footage. 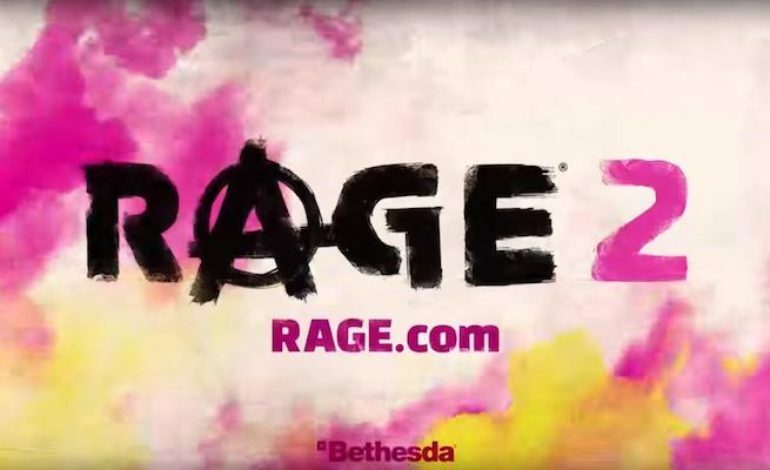 Eager fans will be able to see what the newest Rage will really be about, and we will find out if the title will really be as colorful as the live-action trailer. In addition, some finer details will also be dropped along with the gameplay trailer tomorrow. While not guaranteed, we might see pre-orders for the game going back up afterwards. While this info is being revealed tomorrow, there will most likely be some stuff that is not revealed just yet. The bigger pieces of news, such as a release date, special editions, and so on, will probably be held off until Bethesda’s E3 press conference. Because it has been hyped up to be Bethesda’s biggest and longest press conference yet, there is a good chance that the rest of the Rage 2 info will be revealed then. Bethesda’s press conference will take place on June 10 at 6:30 PST/ 9:30EST. We will keep you updated Rage 2 details as they develop.